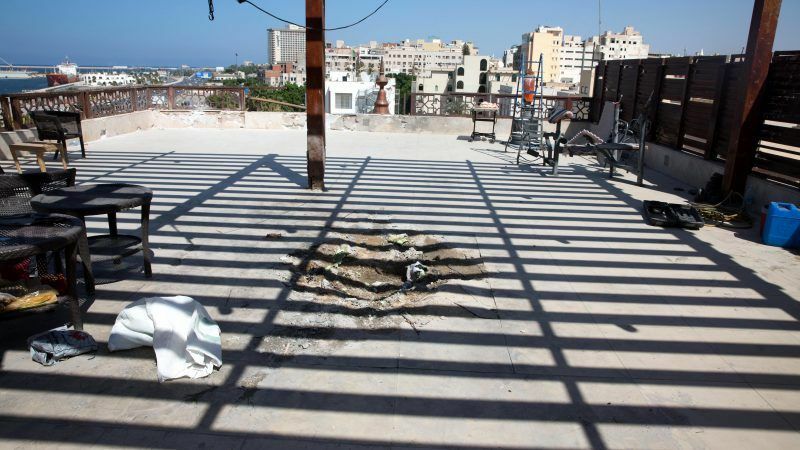 Facebook has been blocked in the Libyan capital of Tripoli and other cities, residents said on Monday (3 September) as fighting between rival groups raged. Access to the web is controlled by state firms and monitored by security bodies which are effectively controlled by armed groups working with the powerless UN-backed government in Tripoli. Some 400 prisoners escaped from a jail in Libya’s capital on Sunday while fighting between rival armed groups raged nearby, a judiciary official said as the United Nations called for the warring parties to meet on Tuesday. Fierce clashes erupted last week between the Seventh Brigade, or Kaniyat, from Tarhouna, a town 65 km (40 miles) southeast of Tripoli, against the Tripoli Revolutionaries’ Brigades (TRB) and the Nawasi, two of the capital’s largest armed groups. Asked to comment the situation in Libya, a Commission spokesperson said that the escalation in Tripoli was undermining an already fragile situation in Libya. “Violence will only bring more violence to the detriment of the Libyan people”, the spokesperson said, adding that there was no military solution to the crisis in Libya, but only a political one. He said the EU supports the UN-led mediation process and the efforts by UN special envoy Ghassan Salamé to bring about a lasting solution to the crisis. “The EU expects all legitimate Libyan actors to rally towards this goal, in the spirit of compromise and by putting the interest of the Libyan people first”, the spokesperson concluded. Italian Senator Pier Ferdinando Casini was quoted as saying that the lack of progress “occurring in Libya during the current period is the product of European divisions”. He also reportedly said that “there are foreign forces behind the tensions in the capital Tripoli”, and that there were EU countries with “a dual position” toward the Libyan parties. According to reports France is putting its bets on eastern-based commander Khalifa Haftar, while Italy is supporting Tripoli-based Prime Minister Fayez Serraj. The great trading Emini S&P buddies are here. Google “Emini S&P Trading Secret”.